The stereotype of the mild-mannered, nerdy accountant perpetuated by old movies has given way to the technologically brilliant, computer-savvy financial savant. The competition for jobs as account managers, controllers and chief financial officers is intense, and your choice of financial careers after majoring in accounting range from working at a Wall Street firm to conducting forensic accounting for Fortune 500 companies or governmental regulatory agencies. The U.S. New & World Report’s website Money offers practical insights into current best practices for managing money, reducing tax burdens, investing and handling personal finances. Accountants often serve as financial advisors for their clients, and this site will keep you current on financial trends and issues that you’ll face in your career. Accounting students can read advice from leading real estate and other experts on handling real estate investing, planning retirement and getting the latest scoops on mutual funds, ETFs, bonds, commodities and other essential elements that accountants deal with daily for their clients. Unlike the American Institute of CPAs, the American Accounting Association offers student memberships that help them access a broader range of accounting resources, sample forms, accounting journals and past and current accounting information from its extensive digital library. Your membership allows you to attend conferences, present research papers and build a reputation in the accounting field before earning your degree. 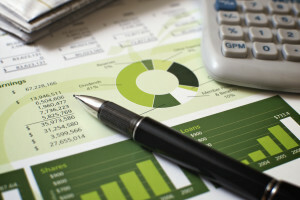 The organization’s The Accounting Review is used by Bloomberg Businessweek and other top financial companies to compile business school and financial statistics. Blogs are a rich resource for accounting majors who want to enhance their knowledge and credentials by learning more about the practical details of auditing, fraudulent accounting processes, federal regulations of the financial industry and updated information on tax accounting. Rasmussen College publishes a list of top accounting blogs that will keep you informed about accounting intelligence and help you to understand the increasingly important role that technology plays in accounting careers. The Accounting & Financial Women’s Alliance or AFWA offers women students information about scholarships in finance and accounting for undergraduates, master’s candidates and those pursuing a Ph.D. in Accounting. The website’s services include providing the accounting news slanted toward women, helping students build and write successful résumés for accounting jobs and offering workshops in public speaking and seminars on planning, delegating and collaborating. The site also offers mentoring programs, tips on conference planning and courses to improve interviewing skills. Women can also find resources for improving their negotiating and networking skills, learning how to prepare financial and legal documents and developing management strategies for dealing with major accounting projects. Strategic and creative thinking and the ability to find tools and resources help you succeed in class, compete for coveted jobs and come through consistently for a broad array of clients or employers. Online resources give any accountant student an edge in today’s competitive landscape for the most desirable financial jobs.